So y'all remember last week when we posted a how to with stripes for summer? 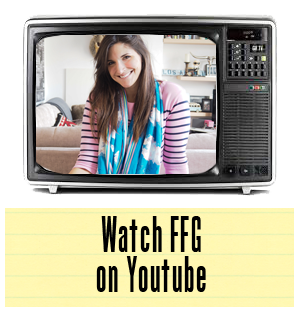 FFG was inspired by Citizen to put together a special style feature for the new season and we did so while sporting a rather fetching new watch from the Drive from Citizen Collection. 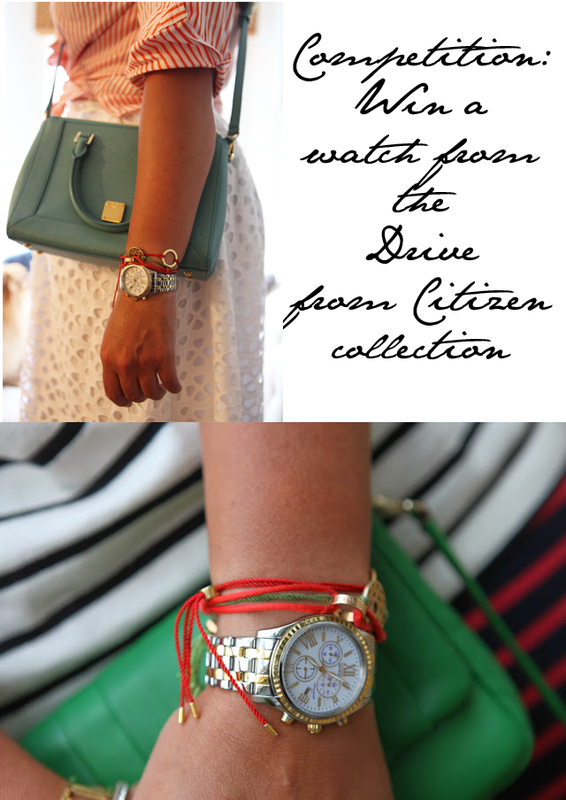 This AML Drive by Citizen watch, as seen above, is one of our favorites for the season. It features a lovely mix of medals, an oversized watch face and a wonderful bright white dial. In short, we're crazy about it. So we thought we'd team up with Citizen to offer you one of your very own. To enter the competition, we thought we'd make it nice and easy. This time it's all about Twitter. You have two ways to enter, but both use this particular social media platform. If you follow FFG, look for the tweet mentioning the competition and retweet and easy-does-it, you're entered (see below to access tweet directly). Or, if you're feeling a bit more creative, tell us why you should win the Citizen watch on your Twitter account and make sure you tag FFG while using the Hashtag #DRIVEfromCitizen. We'll be monitoring Twitter for the next week and will announce the winner on the platform on next Monday, the 26th of May. So get retweeting and you'll score yourself a top watch to wear out and about with your latest summer spiffs. Good luck!! In collaboration with Citizen UK.